Over the last decade, there have been many changes in the world of SEO. SEO as it was, is no longer, and has undergone a complete U-turn as far as the tips and tricks we used to know. Creating a website is easy, ranking your website for its keywords is the hard part. Whereas previously we could learn what the search engines wanted, and optimize our pages based on this, now we are likely to be focusing almost wholly on user experience to get our websites to the top of Google’s page one. Many of these changes are because of the updates to the search engines algorithms, of which there are hundreds every year, but it is usually the case that these are only minor updates. The big updates, that generally start to upset the applecart so to speak usually happen once every couple of years and can have SEO experts scratching their heads in bewilderment. Back to the drawing board, anyone? Here’s an outline of the 3 largest updates across the last 10 years, and how they’ve changed the face of SEO forever. 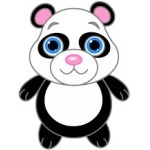 Panda was introduced in February 2011, and if you ask many web developers, this is the one that shook up the world. It was the beginning of what would be a complete overhaul of what the search engines were looking for, weeding out weak and keyword spammed content, and focusing on relevant, fresh content. Panda was something that led the way to the phrase you’ll still hear again and again, which is that “Content is King” and many website owners began a complete overhaul of the content on their sites, adding blogs, regular updates, and basically providing the user with a more rounded experience, by offering guest posts on niche related sites to drive traffic in, and expanding their efforts to social media too. 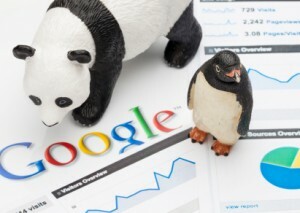 Hot on the heels of Panda, Penguin was put out on April of 2012 to ensure that links came from relevant sites, in an effort to stamp out “Black Hat SEO” which involved at the time, creating sites that were thin on content, purely to create links back to the website required, thus manipulating the rankings by making the crawlers think that the sites concerned were popular. 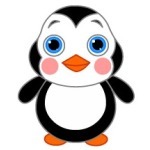 The purpose of Penguin was to catch spammers who set up these link schemes, and many websites found themselves crashing out of the rankings as a result. Hummingbird – Perhaps the largest overhaul of all? When Hummingbird was announced to the public in September 2013, it was hailed as being an update that would affect 90% of searches, in some way. Given the fact that Google now sees over 3.5 billion search queries per day, this leaves Hummingbird as perhaps one of the biggest algorithm updates to date. Although previous algorithm updates have been large at times, this pretty much covered all bases, so calling it an update is a bit of an insult really, as it’s pretty much a complete overhaul, rather than a patch or fix. Semantics are the focus of Hummingbird, which promised to enhance user experience by “reading” the intent of the search query, and giving the most accurate representation of the answer to that query. Webmasters who have content tailored to the questions that prospective clients want to know the answers, are likely to appear higher up in the answers to the search term fed in. Thus, improved user experience, tailored results to not only the locality, but also the context of the query, and a reward for the sites that provide the most relevant content. Exactly what Google wants to offer, and what searchers want to happen too. There’s a running theme through all of these updates, and we can sum this up in two words… relevant content. If you’re answering the questions that your prospective clients are asking, then you’re likely to have hit SEO gold! However, if you’re asking yourself questions that you can’t seem to find an answer for, then info media companies such as FCR Media and Create a Website are always on hand to offer advice and information on how they can assist you in improving your online visibility.